*Rebate may be in lieu of promotional financing or other factory offers. MSRP or Price does not include $365 in destination charges. 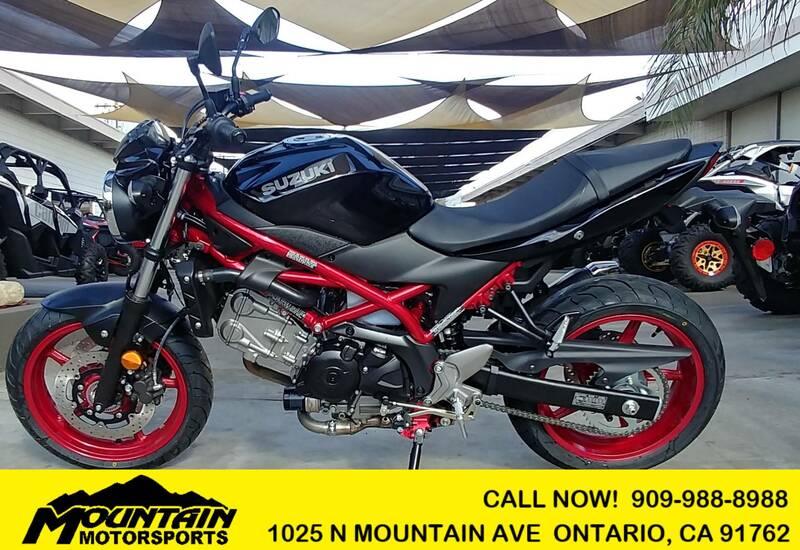 Suzuki SV650 Mountain Motorsports- 49 Years of Great Customer Service! 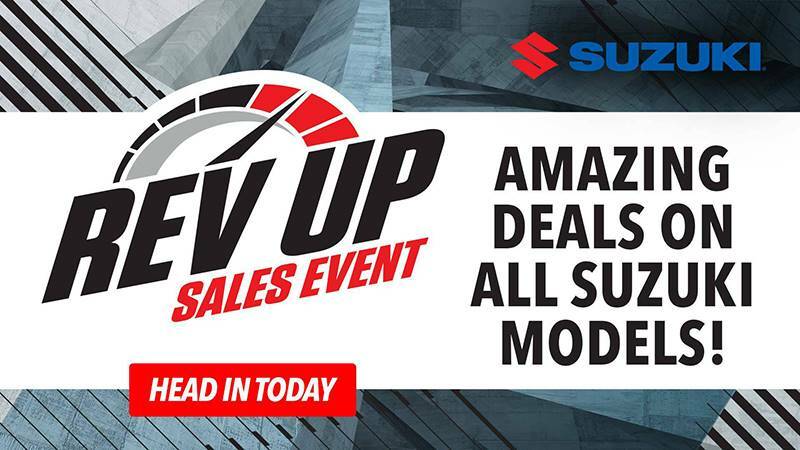 Suzuki continues to refine this iconic motorcycle that embodies the sporty personality that only a lively, mid-sized V-twin roadster can deliver. The SV650 has a polished powerplant that provides surprising performance with low emissions and outstanding fuel economy, mated to refined trim and lightweight chassis that delivers a sporty, exciting ride. 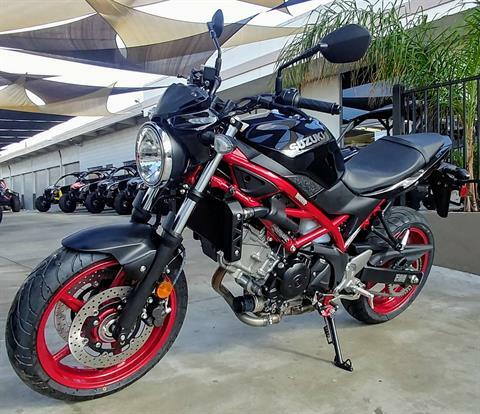 Like its predecessors, the 2018 SV650 promises to have the sparkling performance, style and value that a broad range of riders will enjoy. 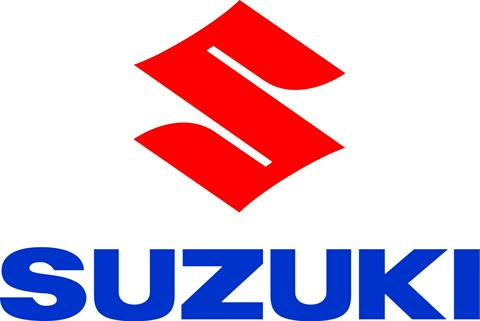 A variety of Genuine Suzuki Accessories for SV owners are available including a large selection of Suzuki logo apparel. Racing stripes and refined fuel tank shape enhances the motorcycle’s sporty character. Fuel tank capacity is an ample 3.8 gal. (14.5L) for both US and California specification models. 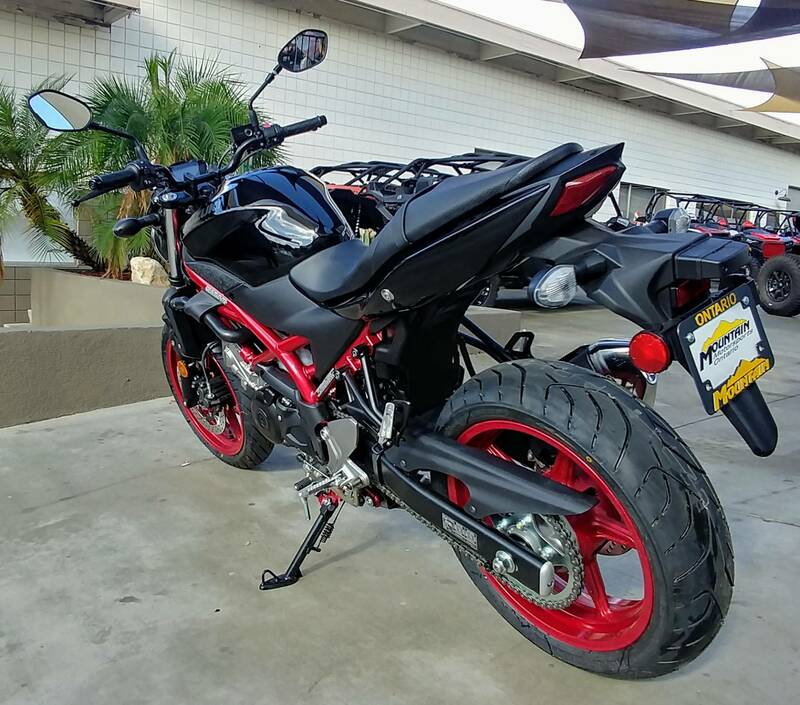 New Blue/White color scheme is reminiscing of past Suzuki racing models while a new Black color scheme is set off by the trellis frame finished in a bright red to deliver a European sport look. The ready-to-ride weight of the 2018 SV650 is just 432 lb. 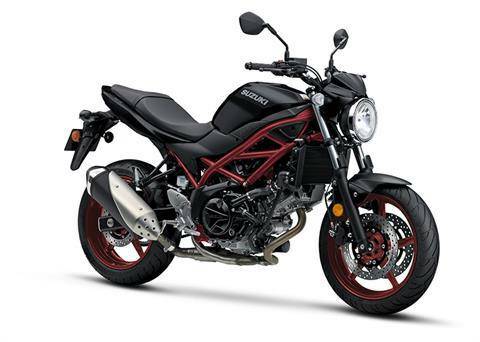 The SV650’s fuel tank is short and narrow but maintains the same 3.8 US gallon fuel capacity in both US and California versions. The 41mm conventional style front fork has a generous 4.9 in. ( 125mm) of wheel travel to provide a sporty, but plush ride. New preload adjusters for 2018 on each fork leg allow the rider to quickly tune the front fork’s spring rate for riding conditions or load weight. Link-type rear shock unit has 2.48 in. (63mm) stroke, and is tuned for a superb progressive feel and to react efficiently to varied road conditions while still delivering an agile and stable feel. Front brakes with dual, fully floating 290mm discs are grasped by two-piston TOKIKO calipers for strong braking performance. A compact Anti-lock Braking System (ABS) ensure braking power matches available traction. New Dunlop ROAD SMART III tires are fitted for 2018 to help with handling and all-around tire performance. Well proportioned, tubular handlebars and mid-set foot controls create a sporting, yet ergonomically relaxed riding position. 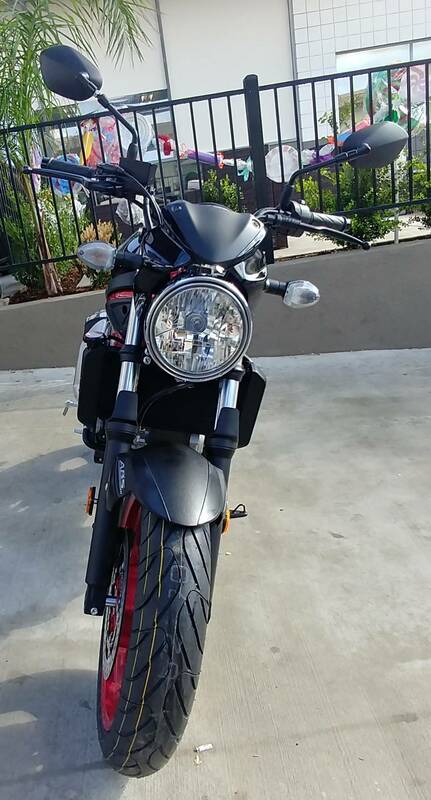 Bright, durable LED combination tail and brake light, plus front and rear, amber tinted turn signals. Attention to rider comfort and confidence includes a carefully shaped seat with a high-grip cover, and integrated cargo retention loops that can pull out from under the seat. The high-efficiency radiator has an enlarged cooling fan for exceptional cooling capacity. To further control temperature, the engine is also fitted with a coolant-cooled, oil cooler that is compact and lightweight. The multiplate clutch has precise worm-gear actuation for a light pull and consistent release point. 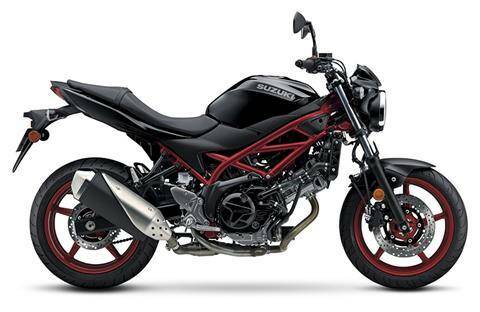 Liquid cooled, 645cc, 4-stroke, DOHC, V-twin engine delivers increased performance. Suzuki EFI system with Low RPM Assist makes take offs smooth and pleasant. 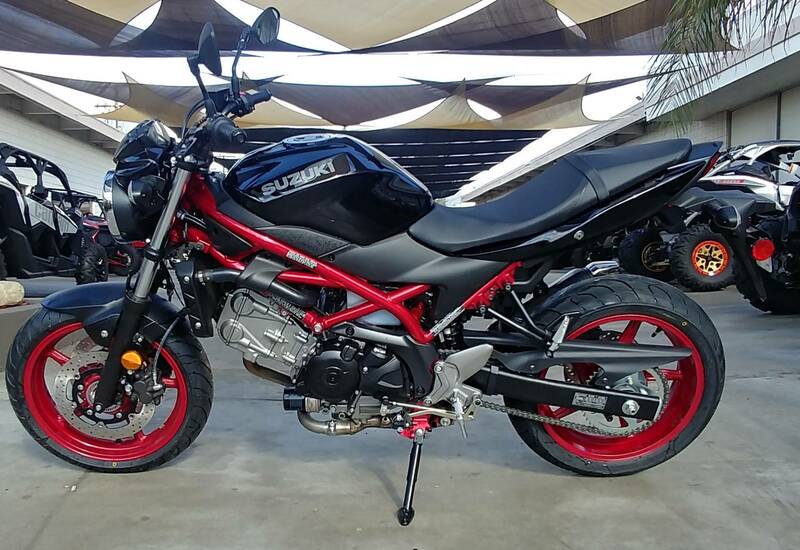 Trellis-style frame constructed of high-strength steel tubes contributes to the motorcycle’s lower weight and trim chassis. Slim bodywork is aesthetically pleasing while aiding comfort and maneuverability. Spring pre-load adjusters are added to the fork, and new Dunlop “Road Smart III’s make this the best handling bike in its class.